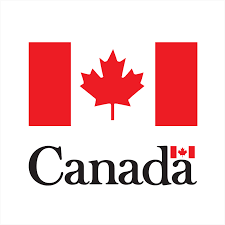 History of Era of Probiotics Inc.
Erzinkyan’s Narine probiotic is presented exclusively in Canada by the inventor’s great granddaughter, Margarita Harutyunyan. A fourth-generation Microbiologist and the founder of Era of Probiotics Inc., Harutyunyan possesses a Bachelor’s degree in Microbiology and Master’s degree in Biotechnology. She has worked in the field of probiotics and food safety for over 15 years and has co-authored a number of research articles on probiotics, specifically on Erzinkyan’s Narine. 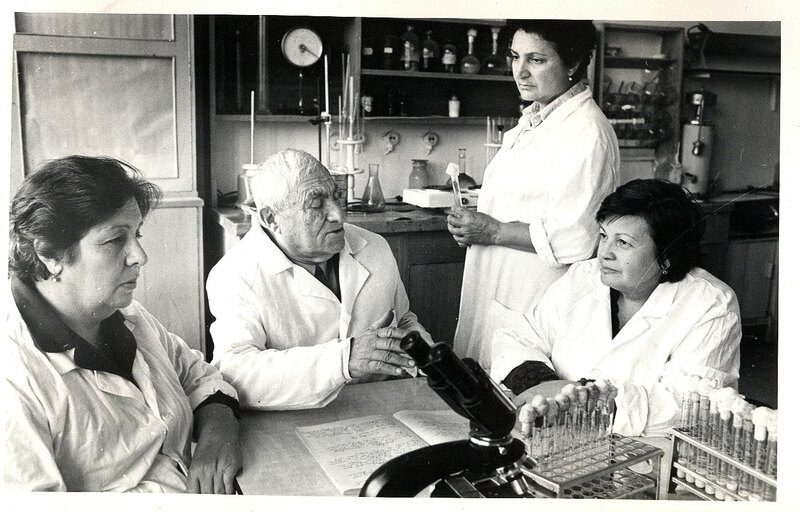 Building on the discoveries and achievements made by Levon Erzinkyan nearly 70 years ago, Margarita Harutyunyan’s work continues to explore the benefits of probiotics and carry on her great grandfather’s scientific legacy. ✔ Erzinkyan’s Narine is the world’s first human-sourced probiotic with numerous supporting research studies. ✔ Having been isolated from the intestinal micro-flora of new-born baby, the strain possesses high efficiency and safety for people of all ages. ✔ Erzinkyan’s Narine probiotic differs significantly from other probiotic bacteria, exhibiting a high level of antimicrobial activity against pathogenic bacteria in the gastrointestinal tract. It restores the balance between bifido- and lactobacteria, unique to every person. ✔ In order for a probiotic microorganism to reach to the colon in a viable state, it must overcome the gastric environment. Erzinkyan’s Narine probiotic effectively resists acid and bile in the upper gastrointestinal tract. ✔ The probiotic strain also resists phenol present in the digestive tract. Common intestinal fermentation results in the formation of phenol, which inhibits the growth and development of “good” microorganisms. Only phenol-resistant acidophilic bacteria can survive in the gastrointestinal tract, and Erzinkyan's Narine probiotic tolerates levels of up to 0.6% phenol. ✔ Due to its high adaptability and adhesive properties, it stays in the gastrointestinal tract for much longer than other probiotic strains (up to two weeks). ✔ Erzinkyan’s Narine probiotic neutralizes toxins and counteracts some of the harmful side effects of food and drugs. ✔ As a supplement, Erzinkyan's Narine offers significant health benefits for children and adults. ✔ Research shows that Erzinkyan’s Narine probiotic also supports good health in domestic animals and pets. 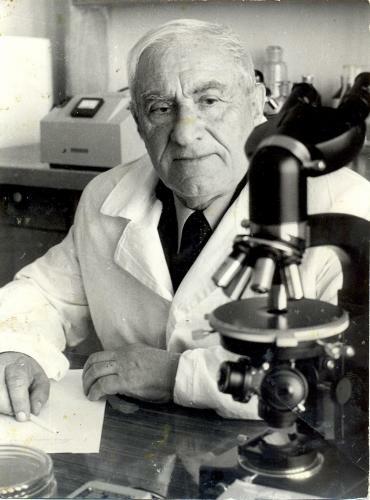 In 1949, a well-known Armenian scientist, Levon Erzinkyan, invented the unique probiotic strain of Lactobacillus Acidophilus Er. 317/402, and he named it after his granddaughter, Narine. The first infant fed this famous strain of probiotic as a substitute for breast milk, Narine never suffered from any kind of intestinal disorder or health issue, at a time when the mortality rate among newborn babies due to inflammation and gastrointestinal diseases was high. Professor Erzinkyan, the first Microbiologist in the world to discover the probiotics’ era, developed new methods for isolating lactic acid bacteria with very high biological properties. 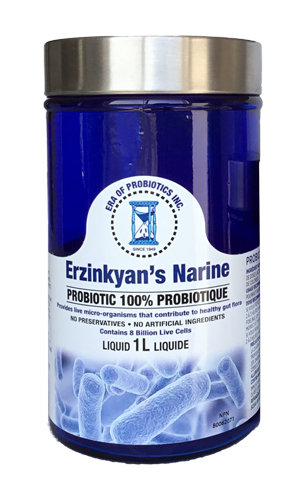 Erzinkyan’s Narine probiotic became the number one probiotic in the world. It has been used widely to treat gastro-intestinal infections and has served as a nutritional dietary health supplement for people of all ages. 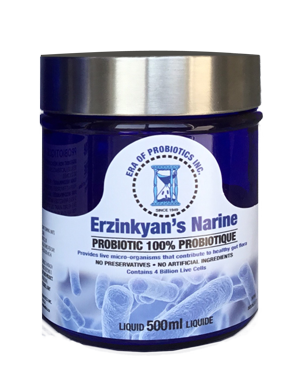 Erzinkyan’s Narine probiotic has a clinically approved long history, with 70 years of documented-safe and high-efficient applications. Supervised testing by physicians, along with hundreds of studies conducted by scientists from all over the world, confirm the safety and efficacy of the probiotic strain. For orders please purchase online or contact us to place your order. Our website is Certified Secure by McAfee SECURE. © 2017 Era of Probiotics Inc.